If you recall, last month I asked folks about their favorite books on the craft of writing, with the promise that I’d ask about marketing books at a later date (because like with our work, we need to focus on the craft before we even think about marketing). Well, it’s later. Not a lot, but enough to where I’m ready to ask the question: What’s your favorite book on marketing? The Children’s Writer’s & Illustrators Market Guide (okay, that was a no brainer) by Alice Pope. It’s a Bunny Eat Bunny World by Olga Litowinsky. Plug Your Book! by Steve Weber. Okay, I told you mine. Now, what’s yours? I’m a big fan of < HREF="http://www.sethgodin.com/sg/books.asp" REL="nofollow">Seth Godin’s books<>. They’re not book specific, but more about ways to think about and be effective marketing in general. (His blog is great reading, too). 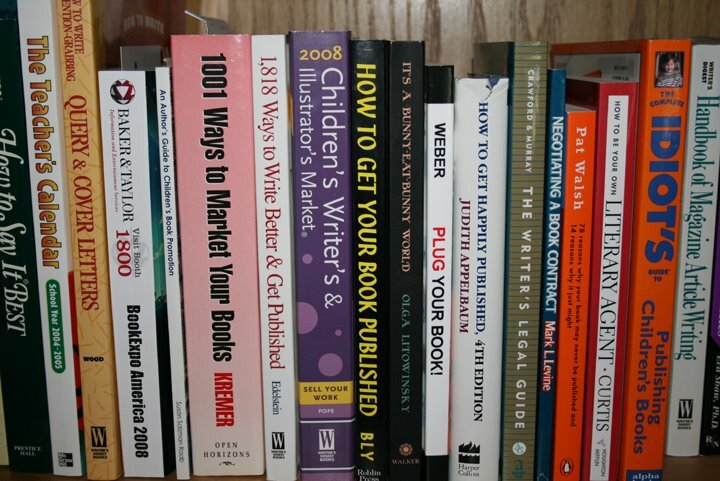 John Kremer’s 1001 Ways to Market Your Book will keep ya busy for a while, too!